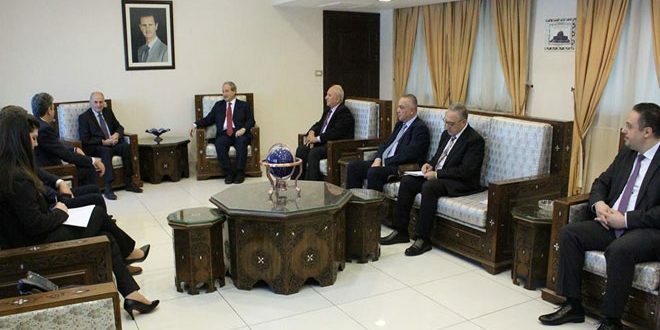 Damascus, SANA-Deputy Foreign and Expatriates Minister Dr. Fayssal Mikdad received on Wednesday Slovak former Prime Minister Jan Carnogursky, who is currently a Slovak parliament member and Chairman of the Slovak-Russian Friendship Association. 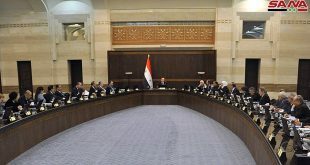 The Slovak politician said that the Slovak’s delegation’s visit to Syria is intended to express solidarity with and appreciation for the Syrian people and government, adding that President Bashar al-Assad’s wise leadership is making history for remaining steadfast in the fight against terrorism. He pointed out the great efforts of the Slovak civil organizations to convey a true image about the terrorism and pressure to which Syria has been subjected, underlining the necessity of opposing unilateral coercive measures which harm the Syrian people. Mikdad, for his part, presented a thorough review of the developments in Syria and Syria’s keenness on restoring all Syrian territories and liberating them from terrorism, citing the importance of national reconciliations for restoring security and stability all over Syria. He affirmed that the unilateral coercive economic measures are harming the Syrian people and must be ended.